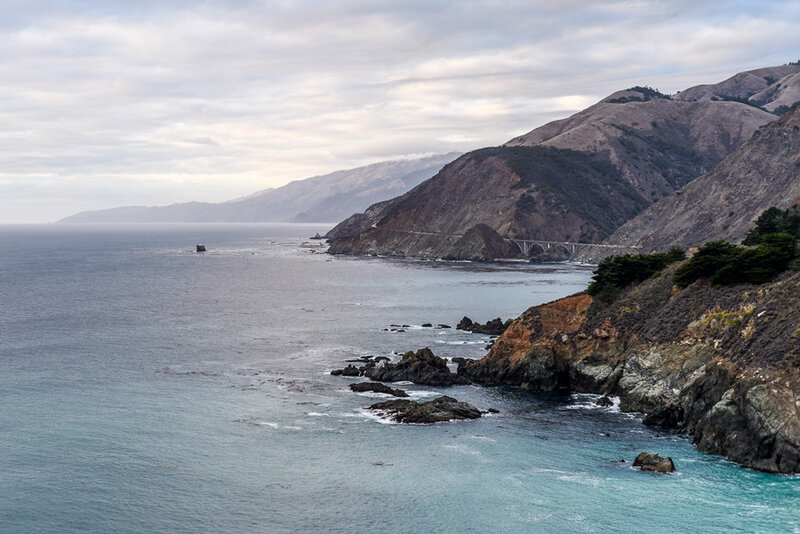 Renting a camper van and road tripping is an incredible way to explore any place on earth, but especially the famously beautiful California coast. And especially if you surf. 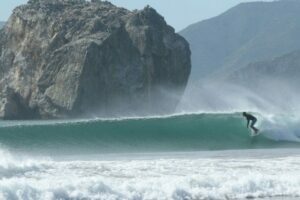 There are so many great surf breaks all over California, you could spend months exploring them. 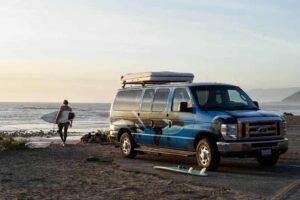 We went on an epic surfing road trip up the California coast, and in our planning phases, we did a whole lot of research on camper van rentals. We’ve already done the work for you, so here’s a detailed lowdown on camper van rentals in California. First things first, camper vans are not RVs. 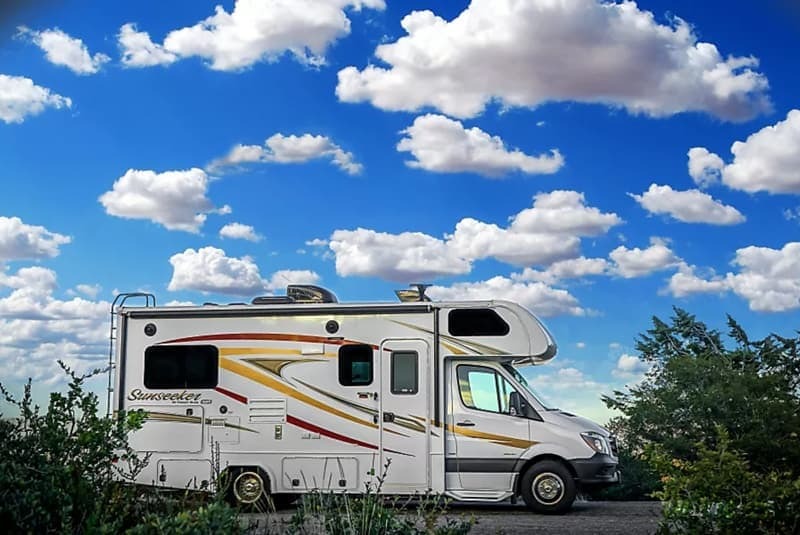 Recreational vehicles (RVs) are much larger motor vehicles equipped with living space and many amenities that you would find in a home like a kitchen, bathroom, and sleeping area. Certain large RVs require a special license to drive and can be cumbersome and difficult to maneuver. Camper vans are typically vans that have been outfitted to provide both transportation and a sleeping area, and they’re considerably less expensive. The vans don’t require any special driver’s license and they’re relatively small in size compared to RVs. 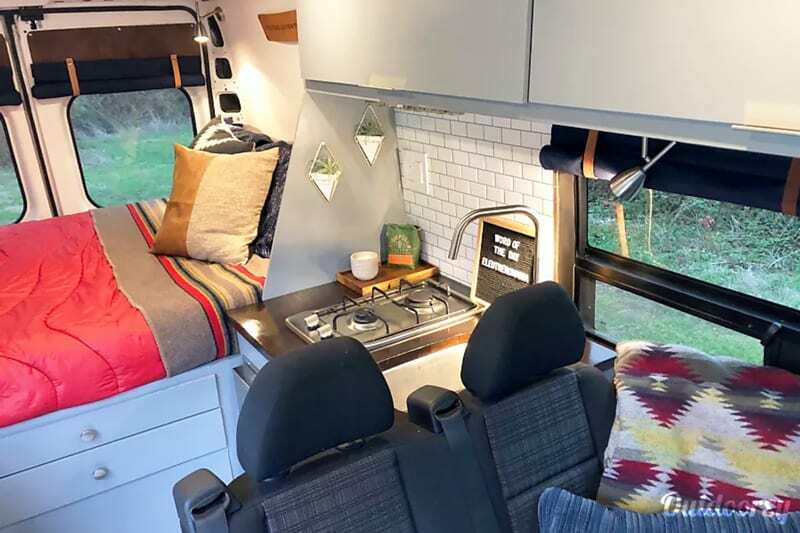 All of the camper van rentals on our list have some form of a small built-in kitchen and a bed, as well as a range of other amenities to consider. It’s good to note that all camper vans are not created equal. Some campers are smaller, more bare-bones rentals, while others come with the whole enchilada. So definitely take that into consideration when looking at pricing. *Note that you will see higher rates during US holidays such as Thanksgiving, Christmas/New Years, and dates that include 3-day weekends. Many camper van rental companies don’t publish their rates. As with most travel, the rates on camper van rentals vary depending on what time of year you’re traveling, how long you want to rent for (typically the longer you rent, the cheaper the nightly rate), and how far in advance you book. The rates we have listed below are based on mid-season pricing on a weeklong trip, October 8 – 15 to be exact. It’s also good to know that some companies (like JUCY) offer relocation rates where, essentially, they need to get a camper from one location to another. The rates are super low (like $1 per day, plus a free tank of fuel), but there are different limitations on time frames. For example, with JUCY you can only take 3 days max to relocate a vehicle. 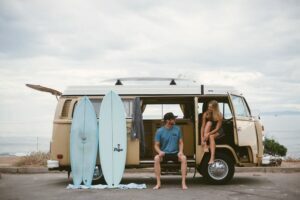 In our guide to camper van rentals on the California Coast, we’ve broken down some standard info on each camper van rental, including rental locations, number of passengers, one-way fees, mileage, pet policies, and pricing (but remember the pricing will vary widely depending on the season so this is just a gauge to give you an idea of rates on mid-season rentals). 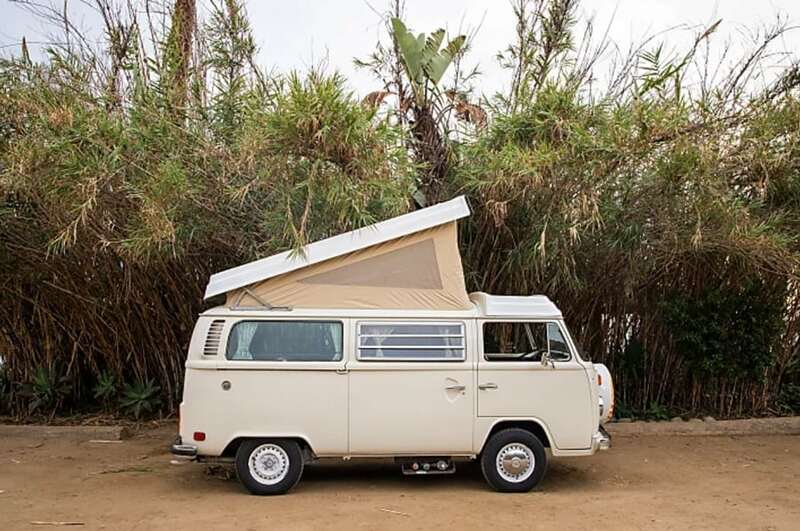 Get a taste of California’s swinging road trip past with a 1970s era VW camper bus. 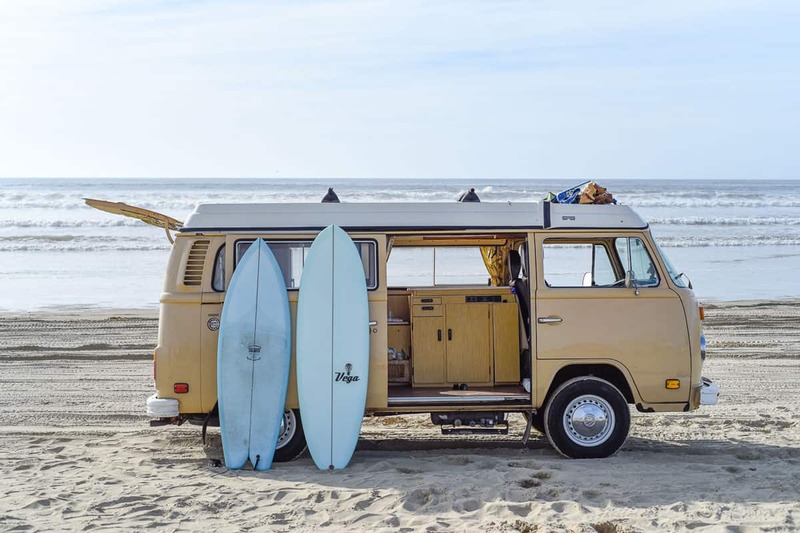 Vintage Surfari Wagons has a fleet of super sweet retro VW Eurovans from the 70s, as well as a handful of 80s VW Vanagons that are also pretty darn groovy. Each bus and Vanagon rental has its own unique charm and has been revived with fresh trim and groovy beach-inspired accents. The buses all come standard with essentials such as: stove, sink (with water tank), ice box or refrigerator, dining table, and all the other accessories you’ll need to make it happen. 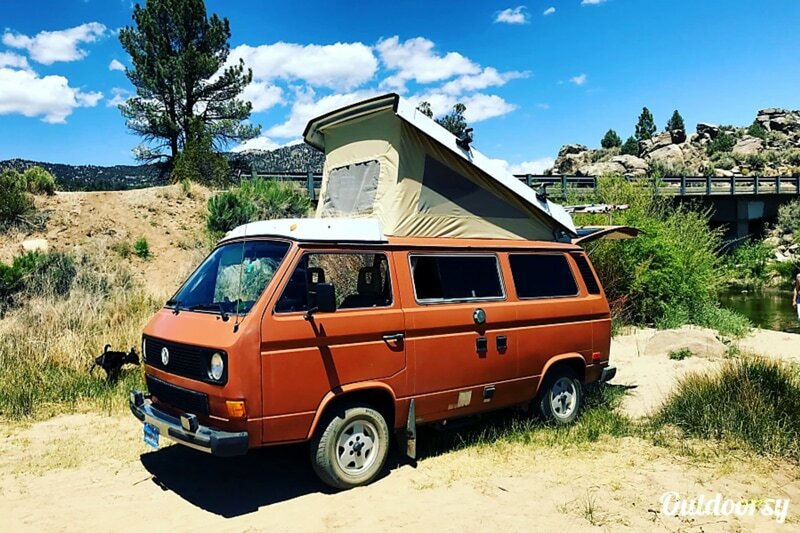 We had the pleasure of renting a 1979 Deluxe Westfalia Pop-Top Camper named Eddie and had an epic road trip, surfing and camping up the California coast. Read about our VW adventure here. PETS: Pets are welcome with prior approval. A $100 per pet per rental is required (maximum of 2) and they request that dogs be under 45 pounds. 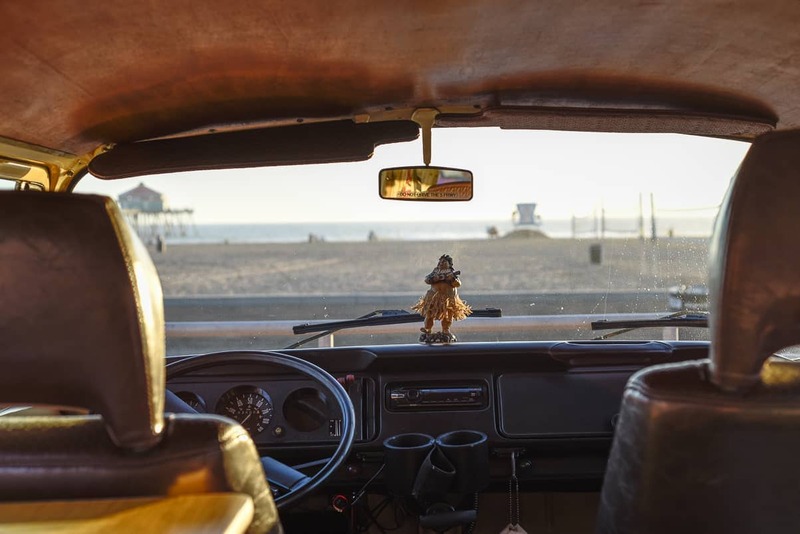 If you are a North American resident and have a full coverage auto policy (liability, comprehensive and collision), then you’re probably insured while driving one of Surfari’s VWs. GOOD TO KNOW: These vintage VWs are exactly that–vintage! Because these buses were developed in the 1930s and built with all the technical sophistication of the 1970s, you don’t have some of those modern car conveniences you take for granted. Most of the buses have a manual transmission, there’s no air conditioning or power anything, and the company asks that you not exceed 65 mph (105 kph). 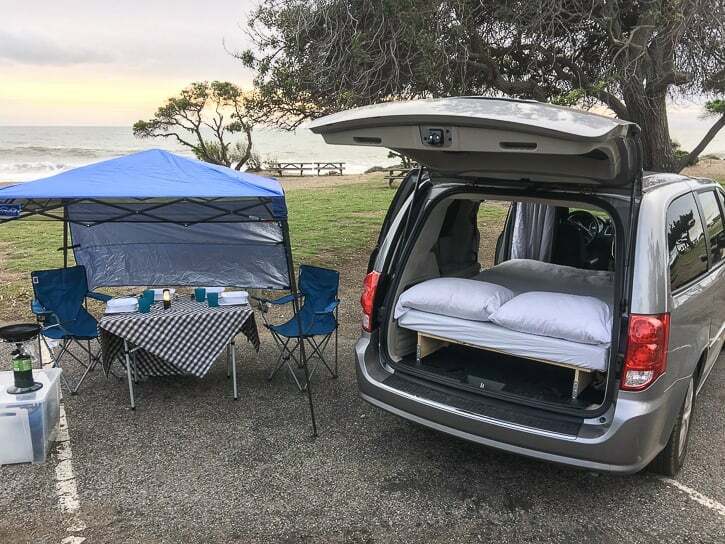 Outdoorsy is an online rental marketplace that connects camper van owners with camper van renters. Think of it as Airbnb for campervan rentals. Outdoorsy has listings for all types of adventure-happy vehicles—from modern custom camper vans and vintage Airstreams to all sizes of RVs and motorhomes. Like Airbnb, you communicate directly with the camper van owner, but Outdoorsy gives you security and support through the process. When booking through Outdoorsy, you get $1M insurance (as long as you pass the DMV check), 24/7 RV rental roadside assistance, and a customer support team. 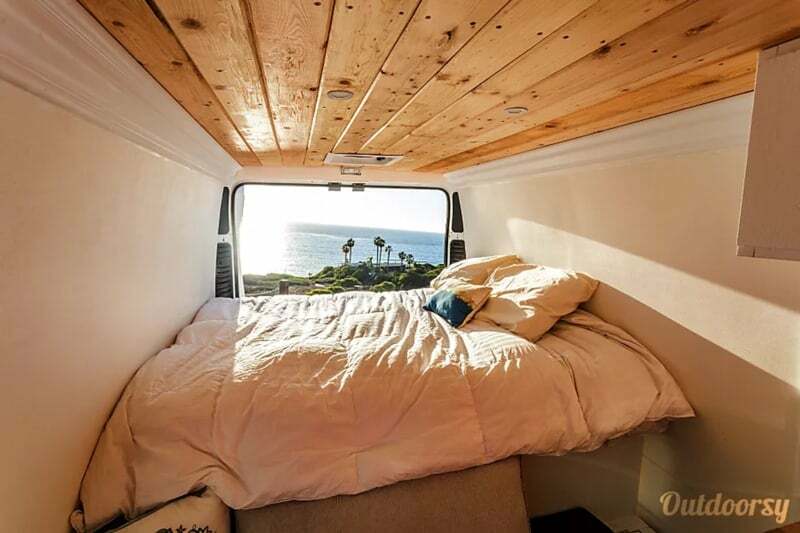 There are currently 116 listings for camper van rentals in California, most of which are based in or near San Diego, Los Angeles, and San Francisco. There are some seriously awesome camper vans available for rent. 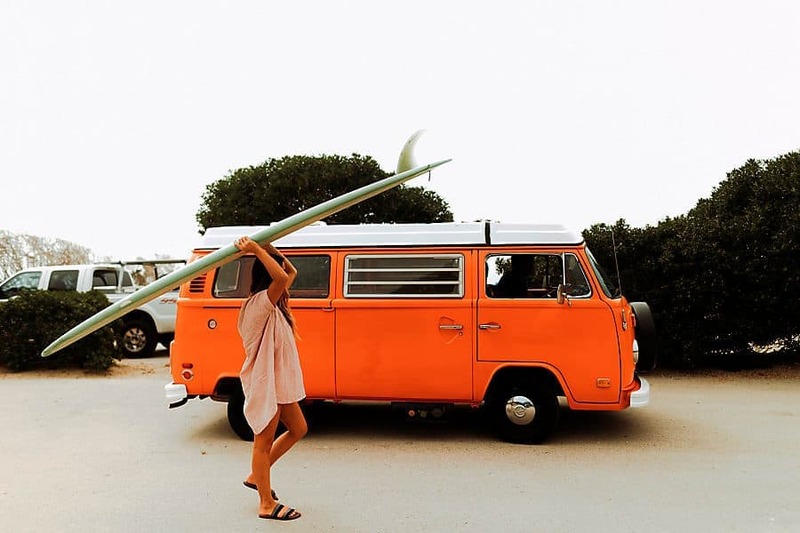 Choose from 4×4 Mercedes Sprinter Adventure Vans, Vintage VW pop-top campers, and slick custom campers complete with surfboard racks and all the bells and whistles. INSURANCE: The Outdoorsy insurance process is fully automated, paperless, and only takes a few minutes for each user. Coverage is automatic for every certified vehicle on Outdoorsy with any renter who passes their DMV check. Renters are covered under a $1 Million liability policy and $250,000 in comprehensive and collision protection. Outdoorsy also offers optional roadside assistance packages for $15/day USD. To search for camper van rentals on Outdoorsy and filter out all other rental types (there are lots of huge RVs for rent as well), in the top search bar on the Outdoorsy home page, type in the city you want to pick up the van (dates are optional) and click ‘Search.’ This will bring you to a page with all of the rentals in the area, so what you want to do is find the ‘Search Filters‘ on the left of the screen. Click ‘Vehicle Type‘ and select ‘Camper Van.’ This will filter out everything besides camper vans so you can van-browse to your heart’s content! Because all listings on Outdoorsy are owned and managed by individual owners, terms and amenities can vary greatly. Make sure you read the listings thoroughly to know exactly what amenities are included in your rental. 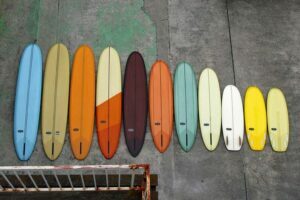 Also, many rentals offer add-ons such as surfboards, wetsuits, camp chairs, etc. 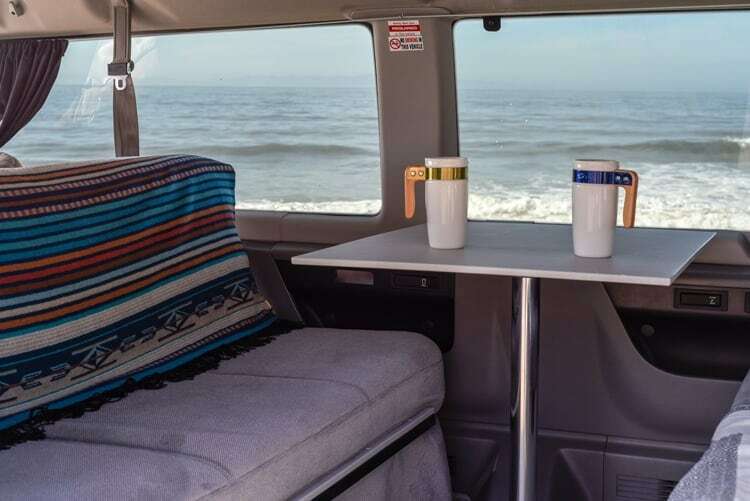 Check out some of our favorite Outdoorsy campervans for rent in this Campervan Rental Roundup. Escape Campervans is one of the largest fleets of camper vans in the US, with 10 locations across the country. 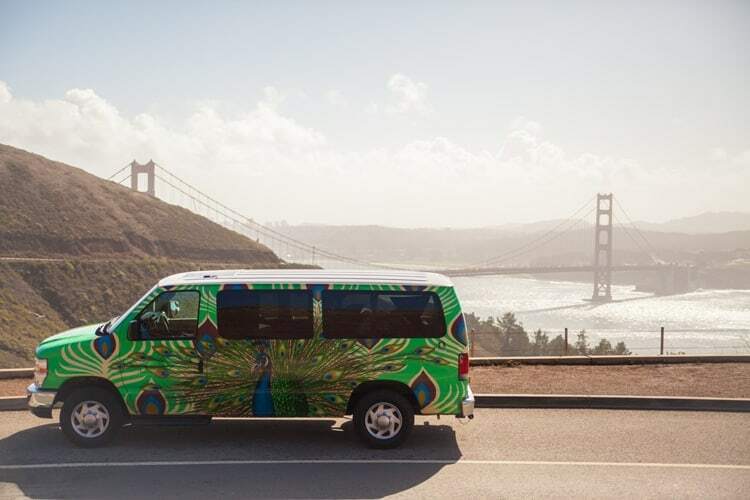 Each van has been hand-painted by a local artist, so you’ll be driving and living out of a mini piece of art. Escape’s pricing is really reasonable, and a lot of benefits are included in the daily rate, like 100 miles per day, free picnic chairs, and free bedding. The company has a “no hidden costs” policy, which basically means that all of their pricing is upfront, and they’re not going to tack on a laundry list of unexpected extras. Escape offers three camper van models, the Ford E150 (Mavericks), the Dodge Caravan (Ventura), and the Big Sur (Ford T-350), and all campers are covered in custom artwork from top to bottom. Escape has partnered with LA-based artists to paint every van and styles range from abstract to landscape to cartoon to classic graffiti. When you book your reservation you can mention which genre or style of van art you prefer (nature, abstract or cartoon). RENTAL LOCATIONS: Los Angeles, San Francisco, Seattle, Las Vegas, Phoenix, Denver, Miami, New York, Atlanta, and Vancouver, B.C. 100 miles per day included for free and averaged over your hire. The cost of additional miles is 25 cents per mile. Purchase an additional 100 miles for $15/Day (giving you a total of 200 miles/day) The cost of additional miles is 25 cents per mile for mileage greater than 200 miles per day averaged over your trip. You can purchase unlimited miles at the start of your trip for only $25 per day. PETS: The pet fee is $150. Pets are allowed in the shoulder and low season ONLY (outside July, August, and September). PRICING: Pricing varies by season and by model. Rates range from $100-$150/day for a week in peak summer season. If you’re a U.S. or Canadian resident with a valid driver’s license and automobile insurance that provides full coverage for rental vehicles (including minivans), you may have coverage. GOOD TO KNOW: These camper vans are quite the artistic bunch! It’s good to know that the company doesn’t offer basic-color vans, and you can’t choose the exact artwork for your rental. That being said, in the FAQs on Escape’s website, it sounds like they make a good effort to help you get a style you’re stoked with. JUCY is a camper van rental company that started in New Zealand and has since branched out to Australia, US & Canada. 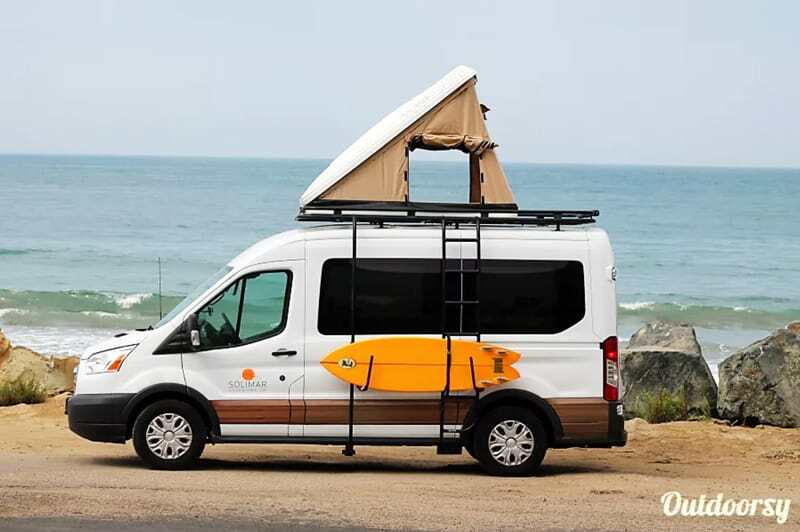 In the US & Canada, JUCY offers one model of mini RV which is essentially a souped-up minivan that’s been customized for your camping road trip pleasure. JUCY designs and builds the vans themselves in their own manufacturing division in Auckland and Los Angeles called JUCY By Design, which allows them to control quality and function right from the outset. The JUCY Trailblazer (offered in USA & Canada) includes a fridge, two gas stoves, kitchen sink, cooking utensils, silverware and two comfortable double beds to sleep up to four people. Other optional items include solar showers, camping tools, electric blankets, lanterns, snow chains, firewood, etc. Because it’s essentially a minivan base, this camper van is very easy to drive and is relatively economical on gas. PETS: Animals (excluding registered guide or assistance dogs) are not permitted in the vehicle at any time. If you’re a U.S. or Canadian resident with a valid driver’s license and automobile insurance that provides full coverage for rental vehicles (including minivans), you may have coverage for the van. GOOD TO KNOW: JUCY offers really awesome relocation rates where, basically, they need to get a camper from one location to another. The rates are super low (like $1 per day, plus a free tank of fuel), but there are different limitations on time frames. You can read more about relocation rates here. 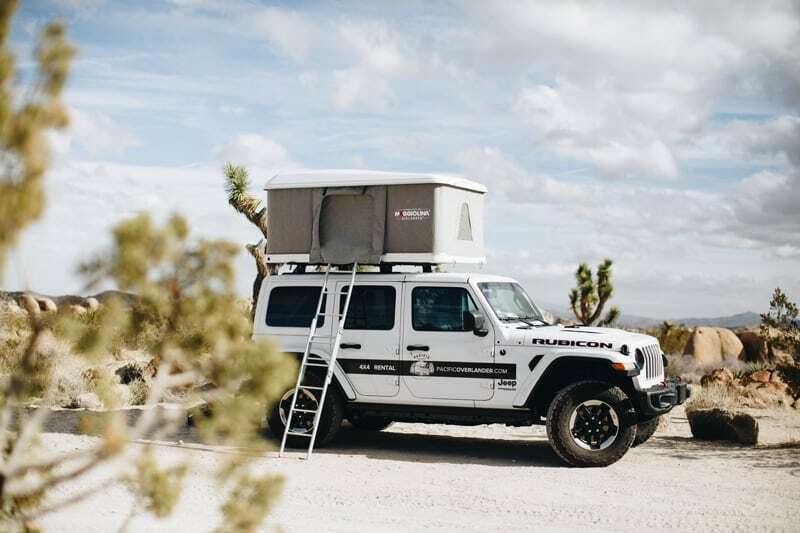 Pacific Overlander rents a rad fleet of 4×4 SUVs and pickup trucks outfitted with rooftop tents, camping equipment, and all the goods you need for adventuring off the beaten path. As far as we know, this is the only company in California offering 4×4 camping vehicles, and these guys do it right. 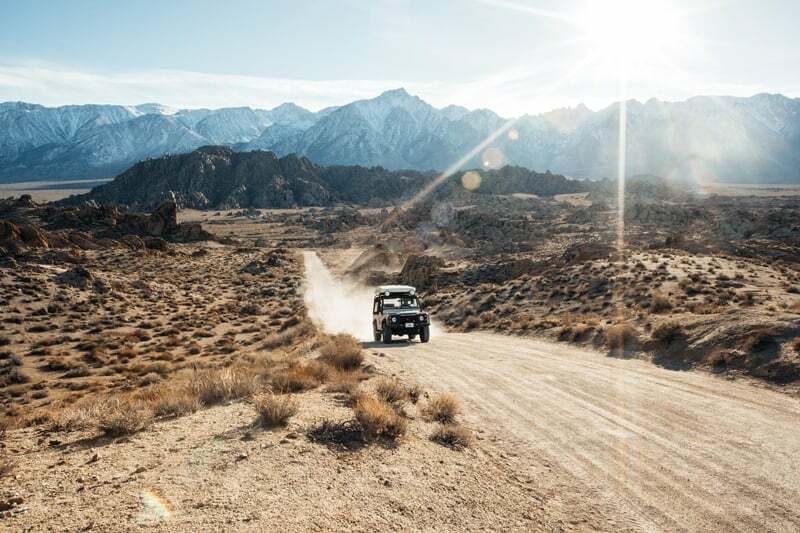 Pacific Overlander offers eight different vehicle models, from an iconic vintage V8 Land Rover Defender to a top-of-the-line Jeep Wrangler Rubicon. All the vehicles in the fleet are fully equipped to take you on all those off-roading expeditions of your dreams. All rentals include a rooftop tent complete with a memory foam mattress, camp chairs/table, a stove, lantern, and all the needed camping gear to make your trip easy peasy. Pacific Overlander also offers a range of optional add-ons like snow chains, sleeping bags, bike racks, wifi, GPS/Satellite SMS devices, and vehicle recovery equipment. ONE-WAY FEE: One-way fees are determined by location (i.e. SF-LA $500). Pacific Overlander can support one-way travel to any major city in the Western US. INSURANCE: American and Canadian renters may provide their own insurance if they have comprehensive car insurance (fully comp). Pacific Overlander provides fully comp ($1 million liability policy and $250,000 in comprehensive and collision protection) for $20 – $30/ day for renters without their own insurance (US & non-US residents). Complimentary roadside assistance is provided on all vehicles. 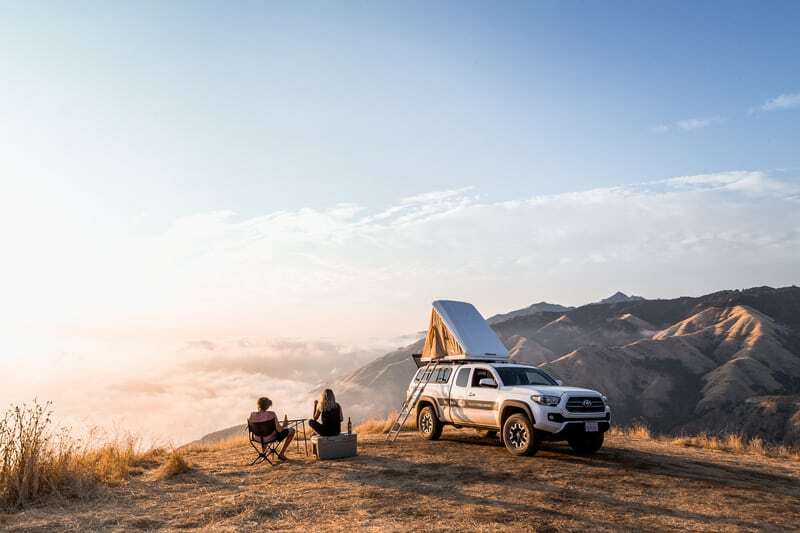 GOOD TO KNOW: One of the major benefits of Pacific Overlander’s fleet of 4×4 vehicles is their ability to take advantage of “dispersed camping” or the free camping options found within the National Forests. These areas border many National Parks and often require four-wheel drive to access. 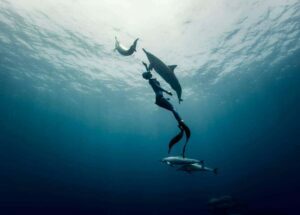 The company also offers complimentary itinerary planning, so you have some support with planning your trip and can focus on what really matters: having an awesome adventure. 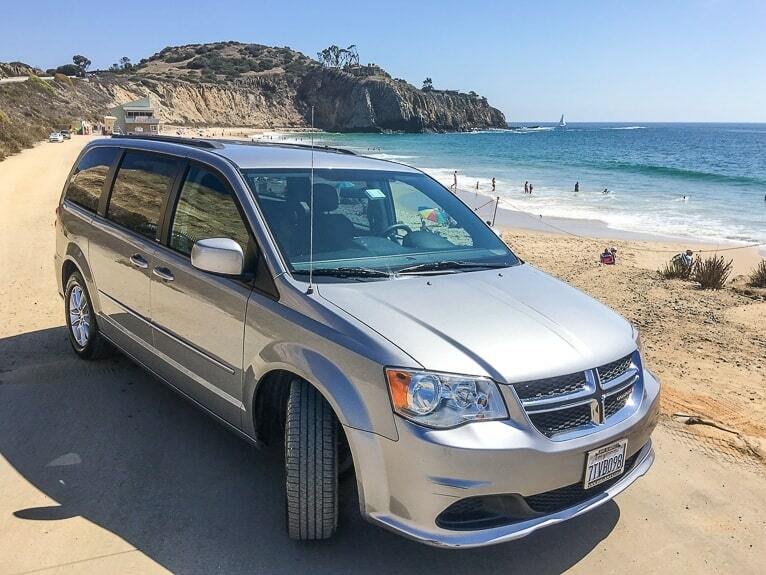 AIYRE Pacific rents a fleet of affordable and incognito minivans near Los Angeles International Airport equipped with all the camping essentials to make your California camping road trip a go. The company personally communicates with each traveler before their trip to answer any questions and make sure they’re all set. AIYRE Pacific’s minivans come supplied with everything but the kitchen sink: a mini queen bed, bedding, cooler, propane stove, cooking utensils, portable awning, folding chairs, table, and more. These camper vans are super easy to drive, fuel efficient, and are completely unmarked with no outside company logos so you can travel like a local. 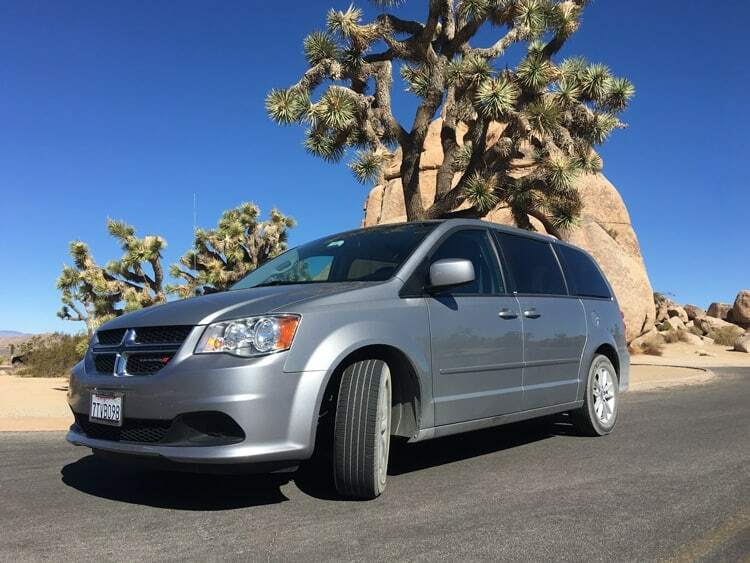 All campers are 2014 or newer Dodge Grand Caravans, the company is a member of STI (sustainable travel International) and all trips are carbon neutral because they buy carbon offsets for every mile driven in their cars. Cars come fully equipped–there are no additional separate charges for each camping item. 2018 model year vehicles in superb mechanical and internal condition will be available in the spring of 2019. RENTAL LOCATION: Los Angeles (near LAX). Arrangements for pick up or drop off in other locations are possible with sufficient advance coordination. PASSENGERS: Carries driver + 3 passengers, sleeps 2 adults inside the car (tent available to accommodate additional campers). MILEAGE: 150 free miles per day, $0.2 for each additional mile. Unlimited miles package $15/day. PRICING: Prices include all taxes and fees for car and gear. $60 cleaning fee is applied to all trips 14 days or shorter. Insurance sold separately. Low Season: $45 – $59, depending on trip length. Mid Season: $79 – $89, depending on trip length. High Season: $89 – $119, depending on trip length and month. ONE-WAY FEE: $300 for drop off or pick up at San Francisco or Las Vegas. Contact for other locations. Basic: $3/day, $3000 Deductible, Up to $15,000 liability coverage. GOOD TO KNOW: Surfboards up to 90” can be stored inside the car under the bed. Travel to Canada is allowed, travel to Mexico is prohibited. 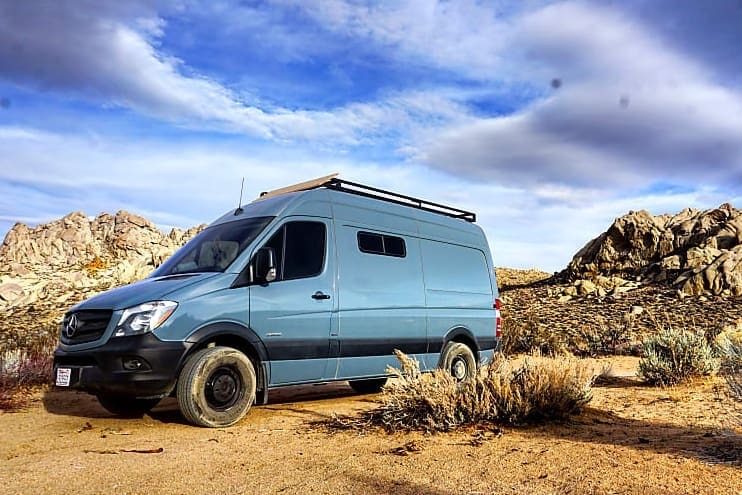 The vans are very comfortable and fuel efficient (25mpg) on roads, but have low clearance and should not be used on rough dirt roads (all National and state parks have paved road access to points of interest and camping sites). 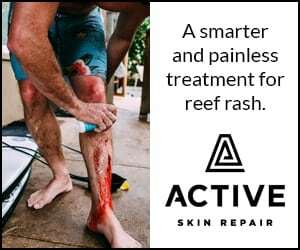 * This is a sponsored post in partnership with the companies listed in this guide. We only partner with companies that we feel are awesome and a great fit for our audience, and all words and opinions are my own. 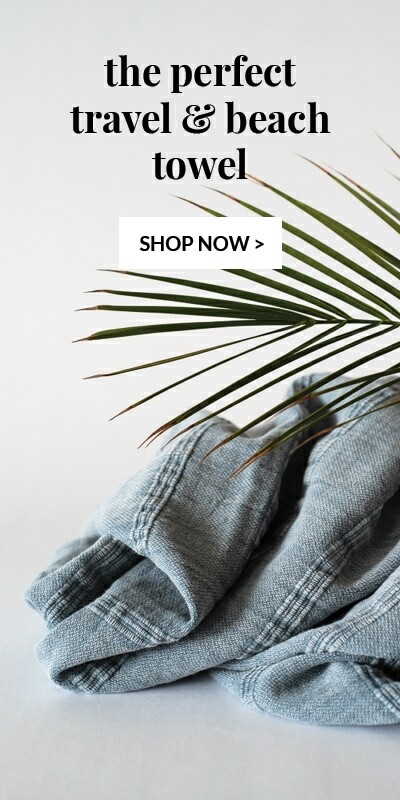 Thank you for supporting the brands that help keep Lush Palm going with fresh content and helpful guides. My husband and I are interested in a van for just the two of us, probably around mid may for 10 days. Pickup near San Jose or San Francisco ariport. Can you head us in the right direction or give us some options . Hi Kimberlee, The camper van companies with locations based in San Francisco are Pacific Overlander, Escape, and Jucy. 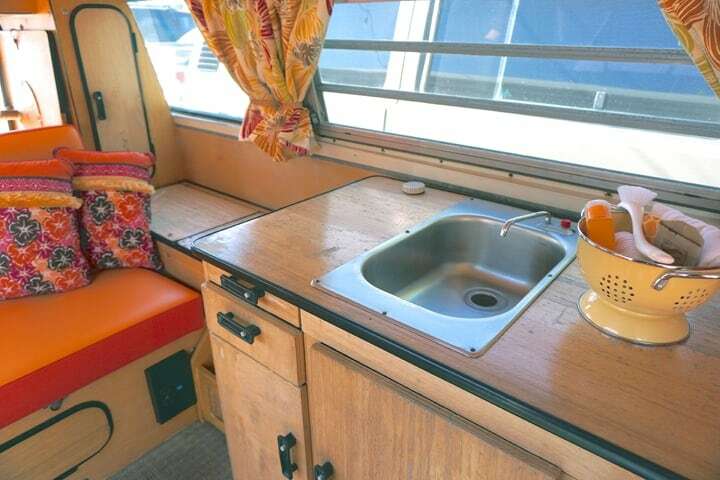 You can also find a camper van from a private renter via Outdoorsy. 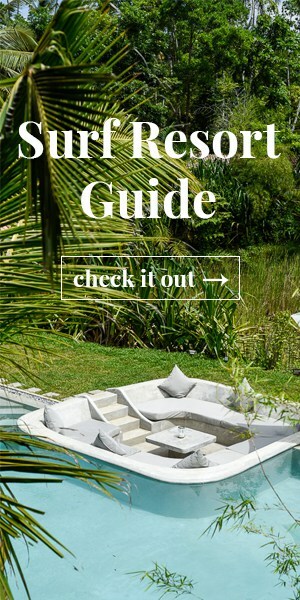 You can read more about pricing, policies, and everything included in rentals in this article, and then head over to their respective sites when you’re ready to book. Happy planning and hope you have a great trip! I am interested in booking a vehicle from you for 28 days in July 2019. This is for my wife and me. However, we have two friends coming with us who will sleep in a tent throughout our trip. I would like to ask if there is a vehicle for 2 persons (sleep), but with space for four people on the road? Thank you very much for your support and I am looking forward to meeting you next year! However, in this article, there are direct links to all the campervan rental companies we recommend so you can contact any of them directly and they’ll more than happy to help you with a rental. Thanks for visiting Lush Palm and we hope you have an awesome trip! Happy you found the article helpful! Sounds like a wonderful family trip! For your needs of traveling one way from SF to Seattle, I would recommend Escape Campervans because they have offices in both locations, which makes it convenient for pick-up and dropoff. You can read more about their campervans and pricing here. Have a great trip and happy travels! Agree with the above comments, this was incredibly helpful, thankyou for posting. Hoping you could provide some more insight if possible. Was wondering if you had any advice on the most cost effective option for a solo traveller doing a two week trip? Hi Christian, thanks for the feedback and glad you found the article helpful! If you’re looking to rent a campervan then Jucy is probably your most cost effective option. But then you have to factor in campsite fees which can add up. You can look for few ‘rest stops’ that allow free overnight stays and plot a few of those into your plans to save some money. Another option would be to just rent a cheap car and tent camp at the more budget friendly campsites. Good luck and we’d love to hear back about what you end up doing! Safe travels. We write about campervans and beach life on Lush Palm, but we don’t actually rent them out ourselves 🙂 ! In the article, you can find information and pricing for 6 companies that rent out campervans, as well as links to all of their websites for more information and bookings. Hope you have an awesome trip! Thanks for this, really helped our last-minute research! Hope this clears up any confusion! Happy travels!